Finally we arrive at the last livery version of the Raven Q6 (NER T3), under British Railways from 1948 until the last Q6 withdrawals in September 1967. Still in the familiar black from NER and LNER days (as all non-express engines under BR) the red lining is gone and the numbers replaced with the standard BR lettering of the day, a plate on the smoke box door announcing the engine number (now with a 6 preceding the previous LNER numbering to create a series from 63340 to 63459) and a shed code plate below. 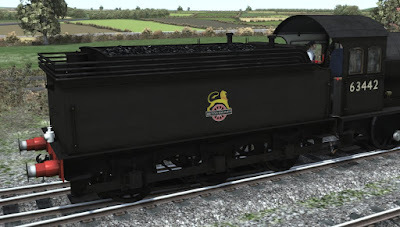 The simple "British Railways" lettering was the first livery under BR and is shown here on a reasonably clean engine. Around 1950 this text was changed to the iconic "Cycling Lion" crest. And in 1956 this then changed to the "Ferret with a Dartboard" crest, although in reality many engines still carried the older "Cycling Lion" for many more years and some were even withdrawn still carrying it in the late 1960's. 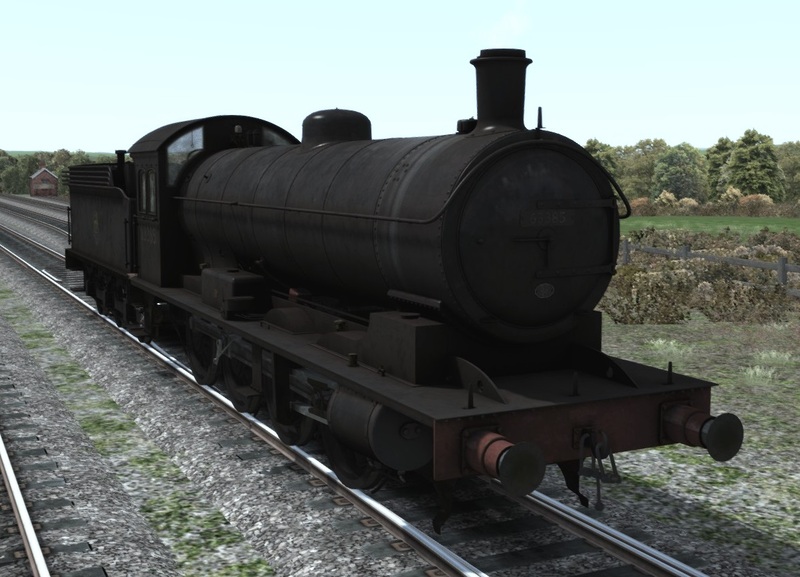 Finally we have the preserved version of the BR livery, now fitted with a train vacuum brake and steam heating. 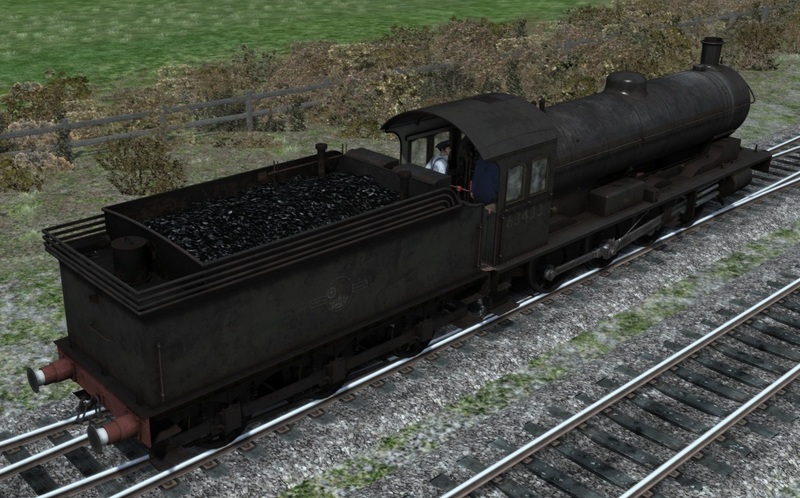 The Q6 was a mineral freight engine. There was no glamour as with the express services of the day and these engines would frequently have gone for long periods of time without being painted or even cleaned beyond the necessary maintenance to keep them safe for use. Consequently they are best remembered by most people alive now in a livery we like to refer to as "BR filth". This worn down state is a popular subject in model railways as well as in Train Simulator and we think we have created our best "lived in" livery to date using some new texturing techniques. 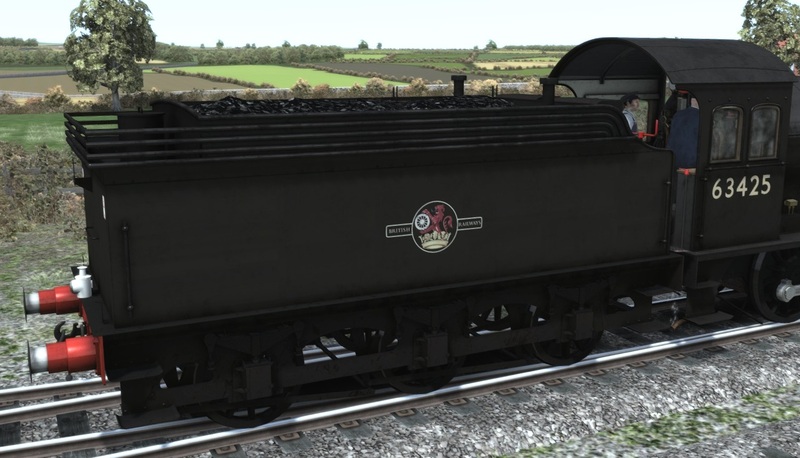 All 120 members of the Q6 class will be available in all liveries we have shown over the past three weeks and as always with the option to change the numbering and certain components via the scenario engine number. 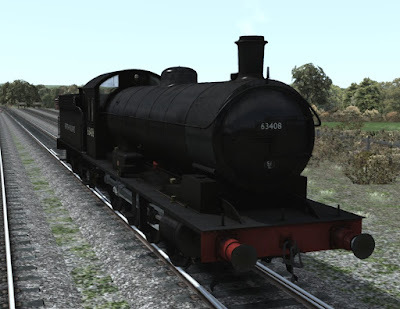 Next week we will step inside the cab under the NER, LNER and BR and take a look at the controls of this class which include a steam powered reverser.